A delightfully bittersweet tale about the distance one man will travel for the sake of love. Presiding over a ‘literary apothecary’ on the Seine, a man masks the pain in his own heart by prescribing the books to heal the wounds of others. Then a revelation from the past prompts him to up-anchor and begin a singular journey of discovery toward a resolution that is genuinely life affirming. 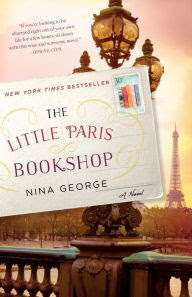 My Book, The Movie: The Little Paris Bookshop. The Page 69 Test: The Little Paris Bookshop.